As an attorney, Matthew Grech began his career as a civil litigator. From there Mr. Grech transitioned into estate planning and probate & estate administration. As an estate planning/administration attorney Mr. Grech has assisted numerous clients manage trust and estate administrations from inception to closing, as well as guiding and facilitating the planning process. It was during this time that Mr. Grech realized that a number of his clients’ family members and friends were facing mounting financial troubles in the wake of The Great Recession. It was this realization that motivated Mr. Grech to begin practicing bankruptcy law, which enables a debtor to address all of their debts at once in a comprehensive manner. Several years later, Mr. Grech has assisted numerous clients successfully file Chapter 7 and 13 bankruptcy petitions. This allowed his clients to move forward with their lives while putting their debts behind them. Mr. Grech has been practicing law since 2007. He obtained a bachelor’s degree in Criminal Justice from San Francisco State University while minoring in Jewish Studies. From there he briefly worked as a legal process server gaining valuable experience in the legal field. 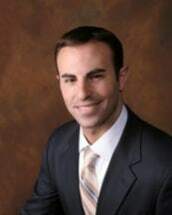 In 2004, Mr. Grech began attending law school in Miami, Florida at St. Thomas University and graduated with honors in 2007. Mr. Grech is an avid runner and regularly competes in marathons and half-marathons. The Nuts & Bolts of Chapter 7 and 13 Bankruptcies, Alameda County Legal Secretaries Assoc.